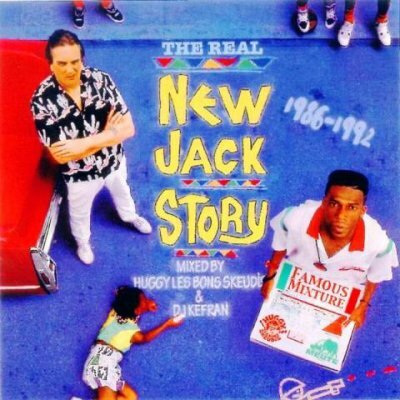 Sélection New Jack Swing Mixé Par Huggy Les Bons Skeudis & DJ Kefran (La Meute) avec Bobby Brown, Pebbles, Babyface, Colin England, Kid N' Play, The Boys, Wreckx-N-Effect, Boyz II Men, Guy, N'groove, R.Kelly, Today, Johnny Gill, Basic Black, Bel Biv Devoe, Keith Sweat, Mint Condition, Al B Sure !, Entouch, Samuelle, and Troy Johnson. Téléchargez gratuitement la MIXTAPE de DJ Kefran (La Meute) "I Funk Your Wife Vol. 2"
Sélection Classic Funk 80's Mixé Par DJ Kefran (La Meute) avec Richard Jon Smith, Lillo Thomas, Cash Mere, Starpoint, Melba Moore, Kashif, Finis Henderson, Luther Vandross, Loose Ends, The Jones Girls, High Fashion, Lew Kirton, Juicy, Mtume, Midnight Star, Kleeer, 52nd Street, Surface, Cheryl Lynn, Spencer Jones, Total Contrast, Advance, The Ritchie Family, Glenn Jones, and Rod. Téléchargez gratuitement la MIXTAPE de DJ Kefran (La Meute) "I Funk Your Wife Vol. 1"
Sélection Classic Funk & Electro Funk 80's Mixé Par DJ Kefran (La Meute).